Most Joomla website have a contact form to make sure that visitors of the website can get in touch with them easily. Joomla has a standard contact form which you can use. You can even set up multiple contact forms with the Joomla component. This makes it easy to let visitors contact specific departments of your company. We have developed an easy way to track form submissions with event tracking in Google Analytics, differentiating submission of different contact forms. To use this instruction, you will need to use the standard comment form provided by a new installation of Joomla. You will also need access to the files of your Joomla website (preferably by FTP). We have focused our instruction on the latest version of Joomla 1.5 (v1.5.23). Instructions may vary on different versions of the component. You can get great insights to optimize your website by using Google Analytics. It's a free tool to track most of the important metrics to evaluate the performance of your website. There is one major flaw in Google Analytics (or most other web analytics tools). It doesn't allow you to get qualitative feedback from your users. Most web analytics tools don't allow you to ask your users what they think when they are visiting your website. We believe listening to your visitors can get you the best insights to optimize your website and help your users have a pleasant time on your website. 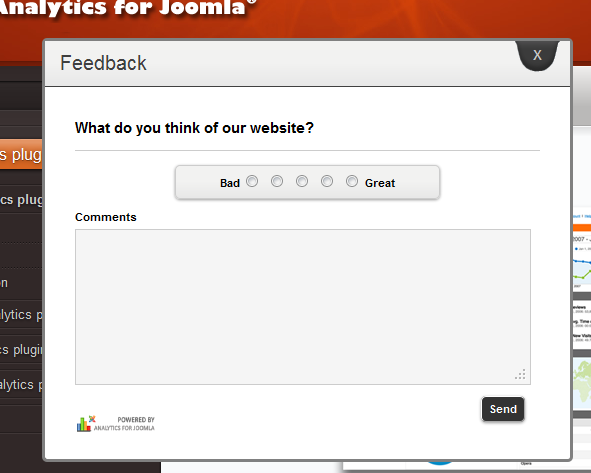 That's why we developed a plugin which allows you to get this qualitative feedback from users. Once you setup the plugin to your personal needs, you can find the feedback of users in your Google Analytics account. You can see an example of our Google Analytics feedback extension in action on our website. Just take a look in the right bottom corner of this page to find our little button. Comments are important to track on a blog. They are an important way to track if your readers are engaging with your website or blog. For Joomla, there are many components which offer comment systems for your Joomla websites. One of the most popular comment components is Jcomment by JoomlaTune. 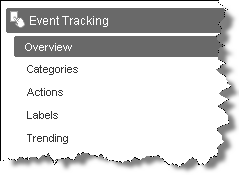 Here is how you can track comments in Google Analytics when you use the Jcomment component. To use this instruction, you will need to have Jcomments installed. You will also need access to the files of your Joomla website (preferably by FTP). We have focused our instruction on the latest version of Jcomments, v2.2.0.2. Instructions may vary on different versions of the component.